On Saturday 19 January we will demonstrate in London, in solidarity with Russian anti-fascists. Eleven of them, who have been arrested, tortured and accused of fabricated “terrorism” charges, are awaiting trial. Many others have faced a relentless campaign of persecution by officers of the federal security services (FSB) and the police – which is reviewed in this article. Please join us on Saturday, to support the Russian anti-fascists and strengthen international solidarity against fascism, xenophobia and state terror. Please re-post and share this article. I’ve also decided to sum up the year’s results. Not the results for me, but rather to remember what happened to anarchists and leftists in Russia in 2018. This post will be long and many of you know about, or heard something about, the events that I recount here. Eleven anarchists and anti-fascists have been arrested. They are accused of setting up a terrorist group and preparing terrorist actions. According to the Federal Security Service (FSB), they wanted to organise an armed uprising in Russia. Almost all the evidence has been gathered with the help of torture. The detainees were beaten up. Some of them were tortured with the help of shocks from a stationary electric dynamo, others with hand-held electric shockers [similar to cattle prods]. At least one of the accused, Dmitry Pchelintsev, was hung upside down. The accused are: Yegor Zorin, Ilya Shakursky, Vasilii Kuksov, Dmitry Pchelintsev, Arman Sagynbaev, Andrei Chernov, Viktor Filinkov, Igor Shishkin, Yulian Boyarshinov, Mikhail Kulkov, Maksim Ivankin. “A witness in the ‘network’ case, Ilya Kapustin, was tortured with a hand-held electric shocker.” After that, he emigrated to Finland. two video-clips that he had uploaded to various chat forums, he was accused of making public calls for terrorist activity. In the autumn, 16 people from various Russian regions were called to the Investigative Committee for interview. Many of them have expressed left-wing views. Some of them did not even know Karakashev. Three days later, five people were arrested: Dmitry Semenov, Dmitry Tsibukovsky, Anastasia Safonova, Maksim Anfalov and their friend Maksim. Tsibukovsky and Anfalov were beaten up and tortured with electric shockers. Over the summer, the criminal case against these Chelyabinsk anarchists was dropped. In November, a new criminal case was opened against the anarchists Tsibukovsky, Safonova, Grigory Potanin, Mikhail Perkov and Dmitry Dubovoi. This time, they were charged with vandalism in connection with their protests organised against the pension reform. On 31 January, persons unknown broke a window at the office of United Russia [the largest party in Russian parliament, supporting president Putin] and threw a smoke bomb. A criminal case for vandalism was open. Sixteen days later, Yelena Gorban and Aleksei Kobaidze were arrested. After questioning, they were released, having given a written pledge not to leave the country. Defence organisation, in connection with this case. After that Svyatoslav Rechkalov and Andrei were detained; the latter, most likely, was released. Rechkalov was driven around the city for several hours, blindfolded. Then they began to beat him and torture him with electric shocks. They threatened him that if he did not make the necessary confession, he would end up as a defendant in the “Network Case”. After beingtortured, Rechkalov was released. He emigrated to France. and received first- and second-degree burns. Shulgin was accused of inciting hatred towards the police, after posting songs on “V Kontakte” [a social network, similar to Facebook]. Shulgin wrote a statement about the torture. At the end of December he was again detained. 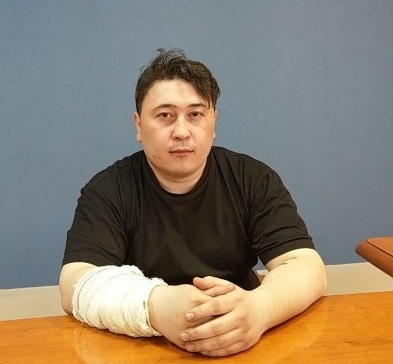 This time they tried to choke him, in order to force him to withdraw the accusations he had made against FSB officers. 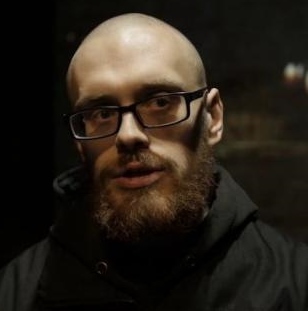 At the beginning of November the anarchist Vyacheslav Lukichev was arrested in Kaliningrad. He was accused of justifying the explosion set off by Zhlobitsky. It was later established that after Lukichev’s arrest he was beaten by six people. He was questioned for 36 hours. ■ In July, the police and FSB officers went to the “Priamukhino Readings” conference [an event held annually to discuss the ideas and legacy of Mikhail Bakunin, at his birthplace in Tver’s region]. The conference theme was “Revolution and Culture”. The security service officers checked participants’ passports, and then detained Artem Markin, an anarchist from Belarus. He was detained for three days, for allegedly using psychotropic substances. See: “A Funny Thing Happened in Pryamukhino”. ■ In October the anarchist Ilya Romanov was sentenced to five-and-a-half years on charges of incitement to terrorism. He allegedly published on facebook a video recording of jihadists, and of an occult ritual featuring a puppet named Vladimir. All the indications are that the criminal case was fabricated. See: “Meet Russian anarchist Ilya Romanov. He’s spent nearly twenty years in prison”. 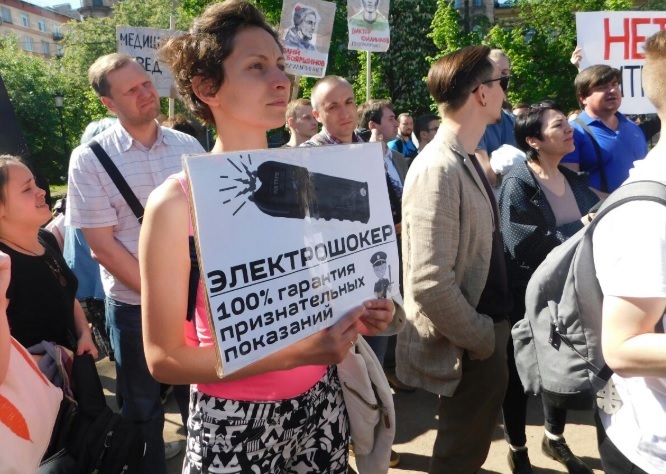 In mid June there was a gathering in Krasnodar of members of the collective that publishes the counter-cultural almanac moloko plus. Sofiko Arifdzhanova and Pavel Nikulin had planned to make a presentation on the latest issue of the almanac, on the theme of revolution. On the day before the meeting, the police arrested Sofiko, and a volunteer [who helped with printing], Anastasia Kkhukhurenko. The police would not release them, and demanded a meeting with Pavel. And then they compelled Sofiko and Anastasia to sign an undertaking not to organise non-sanctioned mass gatherings and warned them about the punishments for extremist activity. Then they let them go. The next day, persons unknown attacked Sofiko and Pavel, using pepper spray. A few hours later, at the presentation, the police arrived and confiscated the print run of the almanac. In September, there was another presentation, in St Petersburg, and FSB officers turned up. There, everything wound up relatively peacefully. They just got up and left. After another two weeks there was a presentation here in Nizhny Novgorod. A few minutes after it began, officers from Centre “E” burst in, with armed back-up. Sofiko, Pavel and I were arrested and taken to the police station. Ninety copies of the almanac were confiscated, along with some gas cylinders. 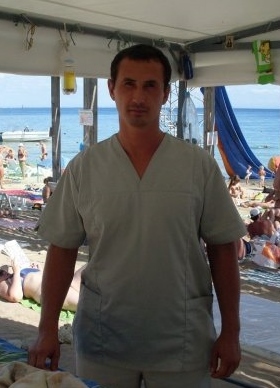 Pavel was detained for two days on charges of insubordination to a police officer. The issue of moloko plus is now being checked for any indications of extremism. There is a big text about our adventures in Russian here. I am sure I have forgotten something, and so not included it. But, generally speaking, that’s what sort of year we had.